Des Speed is CEO of Path, a software company that specialises in “Digital Pathology” – replacing the microscope with computer images for better cancer education, research and clinical diagnosis. This is ground-breaking technology – Path are the only commercial UK company in this field. Des has over 25 years of senior management IT industry experience in a variety of sectors. Prior to Path, his role was CEO of Lagan Technologies, where he led sustained company growth from its original very small base to global success, becoming the world leader in its field with revenues of £20m, and recognised for achieving very high levels of customer satisfaction. In November 2010, Lagan was acquired by Kana Software of Sunnyvale, CA. 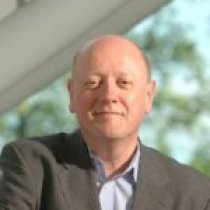 Previously, Des was a founding Director of Sx3 – the Business Process Outsourcing subsidiary of the Viridian Group (then NI’s largest public company). He is also a former Chairman of the Northern Ireland Software Industry Federation (aka Momentum), launching the ICT strategy for Northern Ireland at that time; and was voted one of Northern Ireland’s top 25 Business Achievers by Business Eye magazine.